The NASCAR Xfinity Series race at Bristol Motor Speedway brought a new perspective to the second-tier NASCAR Series. That was a fantastic race! Part of it was the badass high banks of Bristol. Part of it was the modified driver schooling the regulars to the delight of the short track crowd. And another part of it was there wasn’t any Monster Energy NASCAR Cup Series drivers there to stink up the show. For 2018, there’s several races where MENCS driver are barred from the Xfinity race. All 4 Dash for Cash races and all 10 playoff races, 11 total races will be Xfinity only this season. “We didn’t have any Monster Energy Series driver. You obviously hear from the fans from time to time — Mostly, not wanting them to participate in the race,” Steve O’Donnell says on ‘The Morning Drive’ via Sirius XM NASCAR Radio. 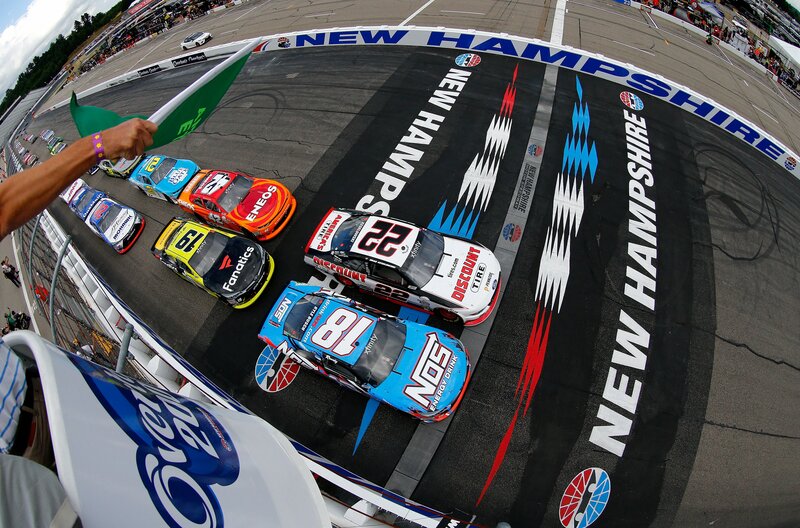 What do you think about the Xfinity only race? Could we see more of that going forward? Beyond Dash for Cash and Playoff races? Of the 7 races so far, 5 of them have been won by a NASCAR Cup Series driver. The latest race, didn’t have any Cup drivers in the field. Before that, it was 5 of 6. The race at Daytona was the only other race that was won by an Xfinity Series regular, Kyle Larson led the most laps in that event.